Welcome to my sushi site! I only recently started eating sushi (the story is on my reviews page) and I've grown to love it. On this site, you'll be able to search restaurants around Louisville, including Bardstown Road, Downtown, East End, etc., read my personal reviews about the different sushi restaurants I've been to around Louisville, different deals around Louisville, my favorite sushi recipes, and news and stories about sushi from all over, both nationally and internationally. Here's a little background about sushi, what it is, where it comes from, etc. Sushi is a Japanese cuisine, but many cultures around the world eat it and love it. Sushi means "sour-tasting," a term coming from Southeast Asia in the ancient years. The term was created by a man named Hanaya Yohei. Sushi was initially invented as fast food (can you imagine?!). It was prepared quickly, not fermented, and was eaten on the road or in a theatre (again, can you imagine?!) This type of sushi is not eaten anymore. The sushi we eat today is fermented, and not eaten in movie theatres! It is only in the last 20 years or so that sushi became popular in America. 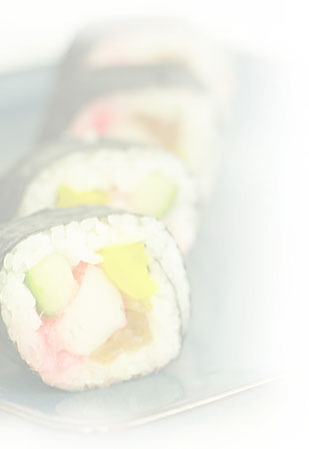 There are many different types of sushi and many different kinds of rolls to enjoy. Sushi is eaten with soy sauce, wasabi, and pickled ginger. All of these additions are on the side so you can mix and match and choose what you want and don't want to eat with your sushi. Enjoy the site, and then go enjoy a roll of sushi in Louisville!